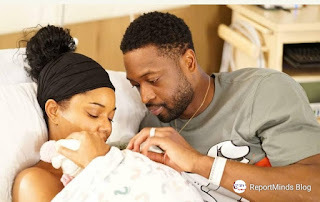 The beautiful Actress who has been vocal about her struggle with infertility welcomed a baby with her Husband Dwyane Wade. Gabriel shared pictures of her baby on her Instagram. See more photos below. ..